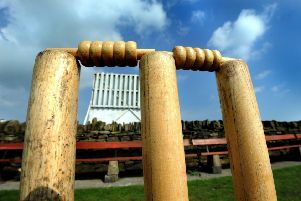 Ashington 2nds got back on track with victory away to new-boys Ryton on Saturday. On a cloudy afternoon, the visitors won the toss and elected to bat, and were 46-3 at one point before Prudhoe and Robinson held it together and added a partnership of 77, both players falling just short of fifties. Thewlis added 21 and Sparrow 16 before Ashington were eventually bowled out for 194. Coxon took five wickets for the hosts. In reply Ryton struggled for early runs with Sharkey and Storey kept scores tight, but after Sharkey accounted for both openers, Ryton batters A Wood and B Perry arrived and made things tough for the title holders. Ryton were on course for 20 points at 90-2, but George Collins got rid of Wood caught on the boundary for 56, and soon after Sparrow got Perry for 58. From then on, Ashington were on top, and after Thewlis ripped through the middle order, Ryton could only finish on 169-8. Michael Thewlis finished with figures of 3-32. Next week Ashington seconds are at home to Newcastle City.